More than 2.7 million Americans age 40 and older have glaucoma—2,719,379. Every day, 10,000 Americans celebrate their 65th birthday. While the U.S. is experiencing a longevity revolution, at the same time our aging nation is triggering a Silver Tsunami of chronic age-related disease that bring with it increased national health care spending, high rates of morbidity and mortality, and declines in quality of life. In 2015, more than 1.6 million new cases of cancer are expected to be diagnosed and close to 600,000 people will die from the disease. Thankfully, major breakthroughs are changing how we prevent, treat, and cure cancer. Treatments are becoming increasingly personalized and advances in immuno-oncology, a field that uses the body’s own immune system to fight cancer, are causing a paradigm shift in cancer treatment. Use the navigation below and the search feature to view the data and to narrow down your search. Approximately 85.6 million Americans suffer from some form of cardiovascular disease (CVD) and close to 1 in 3 deaths result from CVD. These are not only deadly but costly diseases with CVD and stroke costing around $320 billion each year. Every year around 75,000 Americans learn that they have atrial fibrillation (AFib)—the most common type of arrhythmia, or abnormal heart rhythm. Having AFib puts people at an increased risk for stroke, which can be both deadly and costly. Medicare alone is estimated to pay .7 billion per year to treat newly diagnosed atrial fibrillation patients. Stroke is the 5th leading cause of death in the U.S. and kills more than 129,000 people each year. Someone in the U.S. has a stroke about once every 40 seconds. People do survive stroke--around 795,000 strokes occur each year and there are an estimated 7 million stroke survivors in the U.S.--but they are often left with significant disabilities. Each year around 75,000 Americans are diagnosed with atrial fibrillation (AFib), 900,000 experience a venous thromboembolism event (VTE), and 800,000 have a stroke. The burden for those who survive is enormous and the cost of care a major expense for individuals and the nation. Fortunately research advances are offering significant hope. A number of investigative anticoagulants have the potential to reduce strokes in AFib patients while also reducing the risk of bleeds; clot-dissolving agents are proving to lessen the effects of strokes; and the same drugs in the pipeline for AFib could prevent VTE after major orthopedic surgery. As many as 11.6 million Americans in the U.S. have heart valve disease (HVD), and more than 1 in 10 adults ages 75 and older have HVD. Thankfully, the HVD field has experienced tremendous advances in improving survival, recovery, and quality of life for patients. Aortic stenosis is one of the most common and serious types of heart valve disease. Aortic stenosis can be debilitating, costly, and deadly. Survival rates without treatment for severe symptomatic aortic stenosis are low at 50% at 2 years after symptom onset, and 20% at 5 years. Fortunately, innovative treatments are saving lives and aortic stenosis can be successfully treated with valve replacement in patients of all ages. While medical innovations and public health gains in the past century have been measurable in leaps and bounds, significant progress against acute disease has revealed an equally enormous challenge—chronic disease on an unprecedented scale. Close to half of Americans have chronic conditions and 1 in 4 have more than one. They cause 7 out of every 10 deaths and cost our country 75 cents of every health care dollar. With chronic disease prevalence growing at a faster rate than the population as a whole, the forecast is daunting. Despite recent advances, diabetes continues to be a major health threat for at least 29 million Americans who have it and the 86 million Americans with prediabetes. The biggest concerns for individuals with the disease are its many complications and co-morbidities; which can cause vision loss, heart disease, stroke, and other debilitating medical conditions. With the aging of the population and the rise in risk factors like obesity, these problems are going to skyrocket, making medical innovation more critical than ever. Every year, between 50,000 and 90,000 adults in the U.S. die from vaccine-preventable infectious diseases or their complications. Many serious infectious diseases are acquired in the healthcare setting and those healthcare-associated infections cost U.S. hospitals between $28.4 and $45 billion each year. Healthcare-associated infections (HAIs) are acquired while receiving medical or surgical care for other conditions in hospitals, physician offices, long-term care facilities, and other healthcare settings. They are largely preventable, yet often costly and deadly, and rapidly becoming a national crisis as they increasingly develop resistance to drugs. Vaccine preventable illnesses and diseases continue to cause significant sickness, hospitalization, pain, disability, and death in the United States. Pneumonia causes somewhere between 300,000 and 600,000 hospitalizations in older adults each year, and more than 50% of flu-related hospitalizations are in people age 65 and older. Around 50% of the more than 1 million cases of shingles each year are in people age 60 and older. Between 5 and 10 million Americans acquire pneumonia, 35 to 50 million are afflicted with influenza, and 1 million get herpes zoster (shingles)--each year. Older Americans are much more likely to get these infections and to suffer from complications and death. In fact, the death rate from pneumonia and influenza combined is close to 130 times higher in people age 85 and older, compared to people ages 45 to 54. Thankfully, vaccinations are available for many of the most common and deadly infectious disease in older Americans, and can save countless lives and healthcare dollars. The prevalence of diseases like Alzheimer's and Parkinson's are skyrocketing as our population ages and they threaten to bankrupt our economy if better treatments and cures aren't found. 5.4 million Americans are currently diagnosed with Alzheimer’s disease. This number will triple to 16 million by the year 2050. Parkinson’s disease affects 1 million Americans, with at least 60,000 new cases occurring each year. As many as 5.4 million Americans are living with Alzheimer's disease--the sixth-leading cause of death. This disease threatens to bankrupt our economy as our nation ages. In 2012, the cost of providing care for Alzheimer's disease patients was 0 billion. If current trends continue, this cost is projected to grow to .1 trillion per year by 2050, resulting in an overwhelming economic burden. As many as 1 million Americans live with Parkinson's disease. It is estimated that about 50,000 new cases of Parkinson’s disease are diagnosed in the US every year. This disease is costly and devastating, costing around billion per year or ,626 per patient per year, often leading to disability and death. More than 54 million Americans face the threat of osteoporosis; which causes more than 2 million fractures each year. These fractures can have a profound impact on quality of life—often leading to pain, disability, loss of independence, and even death—and cost the U.S. an estimated billion each year. Fortunately, scientists are continuing to make exciting breakthroughs that are helping to keep bones healthy and prevent debilitating fractures. The Alliance for Aging Research partnered with the National Osteoporosis Foundation to produce this volume. Around 100 million Americans live with persistent pain--more Americans than are affected by diabetes, heart disease, and cancer combined. Persistent pain is a significant public health problem, costing the American economy around $560 to $635 billion annually. This amount is equal to a cost of $2,000 for every US citizen due to cost of health care and lost productivity. More than 38 million Americans age 40 and older are blind, visually impaired, or have an age-related eye disease, and adult vision loss costs our economy more than billion a year. With major advances in vision research bringing new prevention and treatments, it is critical that support for research and incentives for innovation remain a priority. The Alliance for Aging Research has teamed up with the Alliance for Eye and Vision Research (AEVR) during their Decade of Vision, to release Volume II of The Silver Book®:Vision Loss. Volume II brings updated data on vision loss in older Americans, as well as the exciting changes and discoveries in vision research and treatment. Diabetes is becoming increasingly common in industrialized and even developing countries. 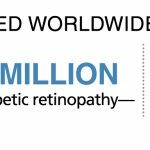 A serious and irreversible complication of diabetes--diabetic retinopathy (DR)--could impact as many as 191 million people around the globe by 2030. Despite the fact that DR is a leading cause of vision loss around the world, as many as 50% of people with diabetes are not getting regular eye exams, or are diagnosed too late for treatment to be effective. The diabetic retinopathy fact sheet was released on May 19th during a webcast. Click here to read the transcript, see the slides, and listen to the webcast audio. The Silver Book® is an almanac of thousands of facts, statistics, graphs, and data from hundreds of agencies, organizations, and experts. It is a searchable database, produced and updated by the Alliance for Aging Research, that provides free and easy access to the latest information on the burden of chronic diseases that disproportionately impact older Americans, and the value of investing in medical research. Silver BookMore than 2.7 million Americans age 40 and older have glaucoma—2,719,379. Vision Problems in the U.S.: Prevalence of adult vision impairment and age-related eye disease in the U.S.